#TBH: Teen Sleepover Experience Presented By The Haven Community is a teen girls getaway for high school girls. This experience will take place in Philadelphia, PA on August 17 -18, 2018. The transparency & vulnerability of the co-producers, Genesis & Tiffany, will give teen girls the tools that they need to cope with life at their age, celebrate the beauty of their youth, & feel empowered. #TBH is a culturally relevant experience in a safe space with real conversation, bonding, & relaxation. The girls will experience a much needed break from their everyday life, usual group of friends, and the pressures of social media. The informally structured itinerary for the overnight experience allows the girls plenty of time to relax and to learn without feeling like they are in a classroom structure. #TBH will develop teen girls, equip them to lead and provide a wholistic, healing experience. It is our desire to expose teen girls in our community to a new experience and begin to shape what they expect to experience in their later years of life. We will expose them to new, healthy ways of thinking, push them to love themselves & gain understanding of who they are in every facet of life! Rachael is an Author, Mentor, Inspirational Speaker and Personal Finance Coach. Creator of P.E.P. Talks (Prepare Empower Push) which include workshops, seminars, one on one mentoring sessions, Tutoring, chess and dance classes. In her teenage years she started writing poetry which turned into POT OF GOLD a book of Inspirational Poetry she published in 2009. She uses her book to encourage teens to find their outlet while dealing with everyday growing pains. In 2018 Rachael published her second book in honor of her niece (after her passing) called Amber's Magical Savings Box. This is an interactive children's book teaching a lesson on earning and saving money.She believes that money management should be taught at a young age. Rachael is also the Co-Founder of DOTTS mentoring org for teenage girls. Her vision is to help young ladies become, respectful, responsible, and independent women. Rachael consistently lends all of her talents toward giving back to the community in any way possible. Because of her dedication to the youth in and outside of her community, Rachael was awarded “Mentor of the Year” from Developing in Excellence Mentoring Org. and went on to join their team to further support the vision. She was also mentioned in the Tribune and highlighted on various websites and radio shows. Rachael gave away her 30th birthday running a campaign to raise money for Non-Profit organizations. During this campaign over $2000 was donated to various organizations to support those serving in our communities. Rachael currently teaches at The Mount Airy Learning Tree holding Millionaires In Training Classes. Her passion and gift has proven to be life-changing for so many young people who come in contact with her. Her Motto is “Know better, Do better, Be better”. 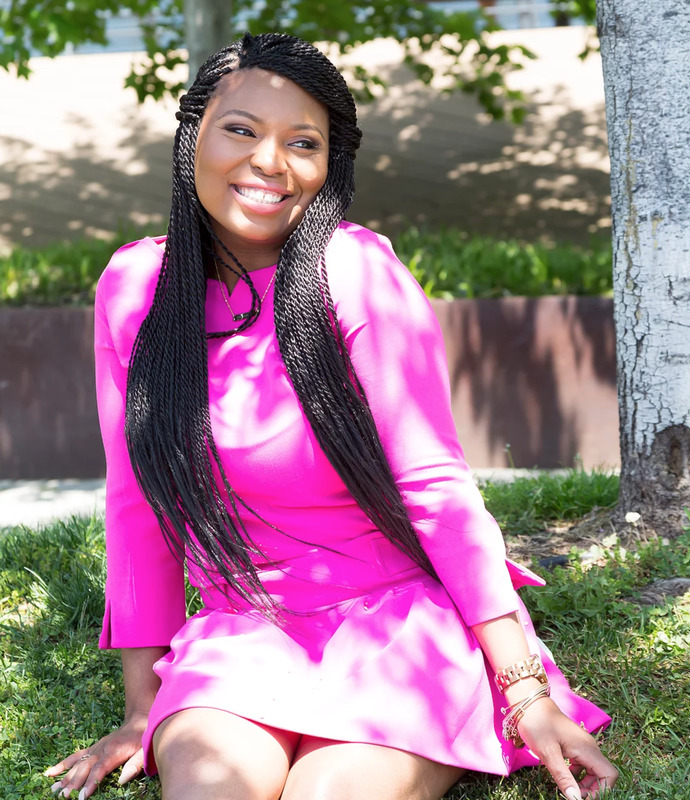 From suffering from teen depression to being written off by her family and teachers as being just another troubled teen, Jaynay C. Johnson has always been a firm believer that at any given moment you have the power to say, “this is not how the story is going to end.” Jaynay chose to take control of her story! Choosing to dedicate her life to uplifting and empowering the leaders of tomorrow, Jaynay’s body of work includes a published book, magazine features, radio interviews, and multiple guest appearances. A lady of elegance, poise, motivation and hope for tomorrow’s leaders, Jaynay embodies an uplifting message and presentation style that she believes the ones coming behind her will need in order to reach their greatest potential. She tours and speaks to teens and families across the country, using her humor and “down to earth” style to take the edge off many of the tougher conversations she must have with her audiences. Jaynay has worked at local nonprofits, residential treatment homes and schools dedicated to offering a range of behavioral health/social services to those in the Greater Philadelphia region. It is here that Jaynay who received both her Bachelors and Masters from Delaware State University and La Salle University respectively, is able to once again tap into people’s deepest emotions and experiences in order help them reach the breakthrough moment that she also once experienced as a teen. here is no better arena to experience one of Jaynay’s thought provoking and life changing events than in one of her many mental health seminars, teen dating violence seminars or her healthy family relationships panel discussions. As she continues to make her way across many platforms, Jaynay still finds time to volunteer, mentor young girls, and help teens and families rewrite their narratives. She is living proof that despite what the world tells you, your past does not have to dictate your future. Serena Saunders is a Visual Artist from Philadelphia, Pennsylvania. Her work as a painter has a fresh, color-strong perspective that speaks to our imagination while the subjects ask of our attention. Her often large-scale, graphically bold and poetically composed paintings offer the viewer layers of narrative. The painter works with a color palette that gives her intricate prints a world of their own. She then uses these environments on canvas as a backdrop to her portraits and their stories. Pulling from her fashion design background, the artist is also known for wardrobing her muses with clothing she designed to support the story being told. You will often find a matter of injustice or undying hope fighting its way through the line work to prevail at the surface. It is clear that her work is influenced by her compassion towards youth, women and community. This affection for the youth was nurtured during the decade or so she spent teaching art and poetry at more than a dozen schools and non-profit organizations throughout Philadelphia and neighboring states. Are you ready to experience the ultimate teen sleepover where you will create memories for a lifetime? Register NOW!